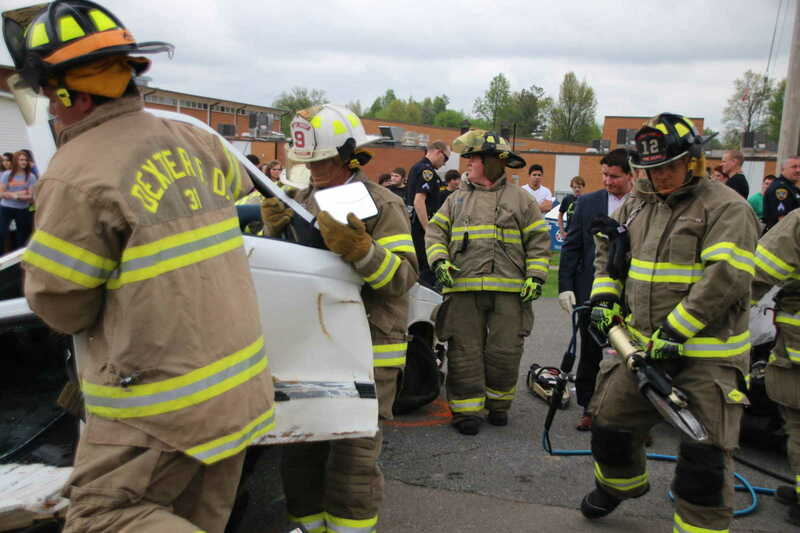 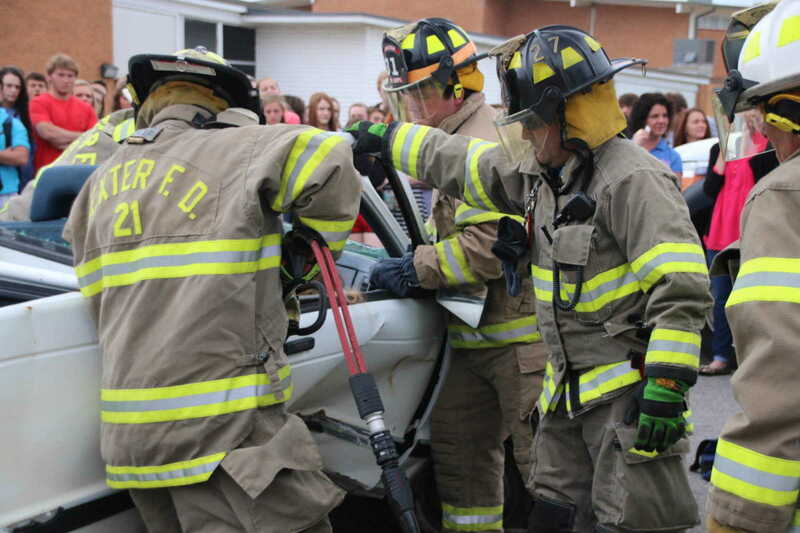 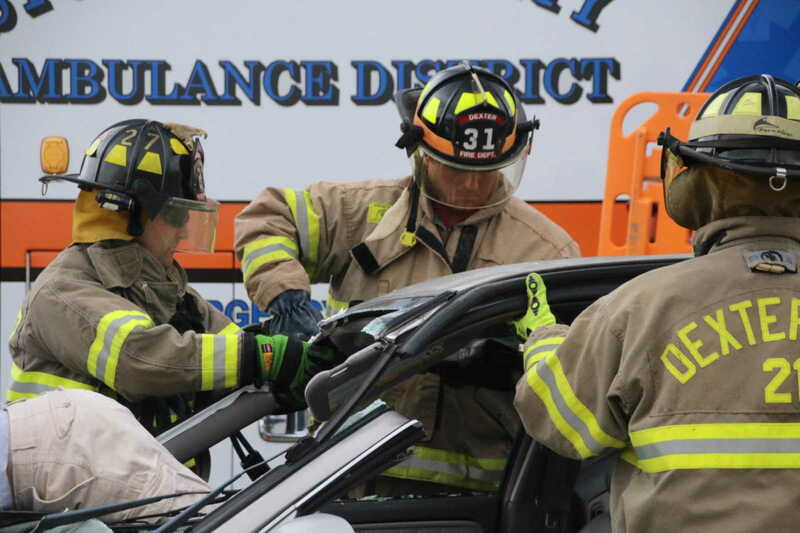 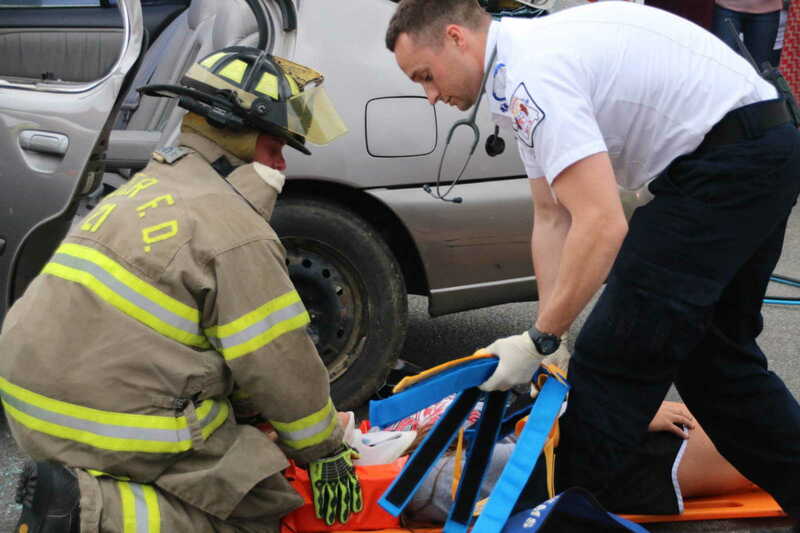 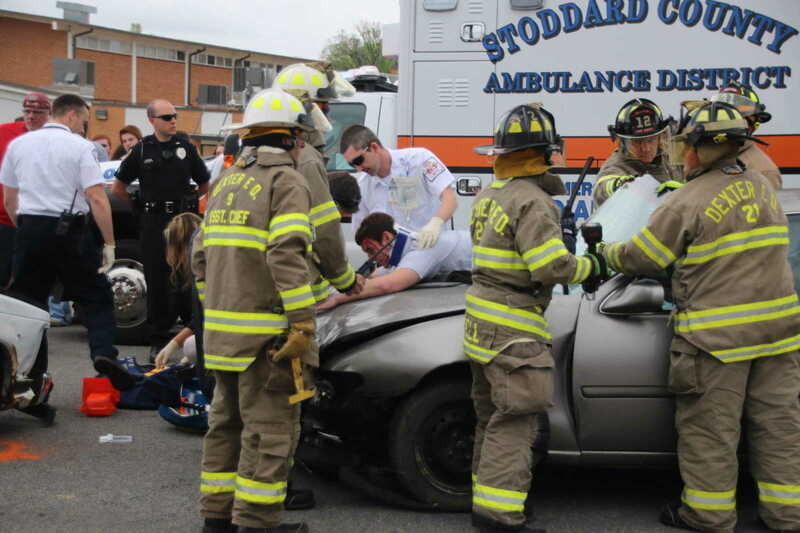 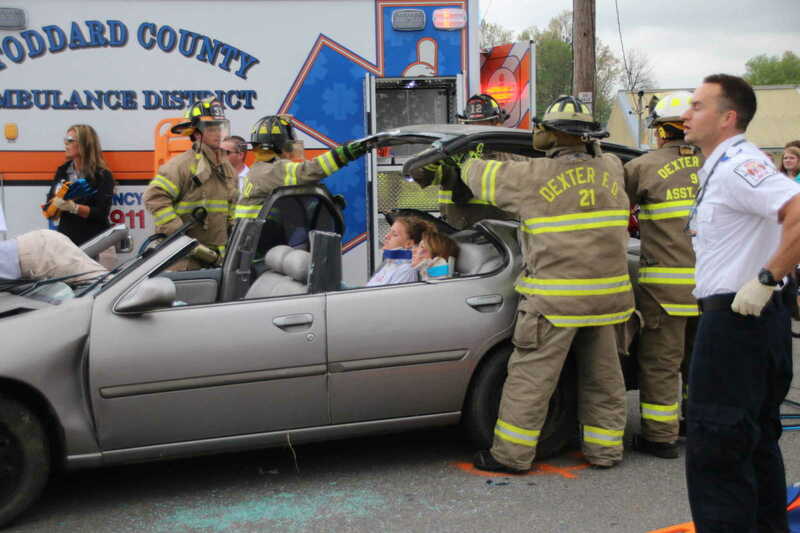 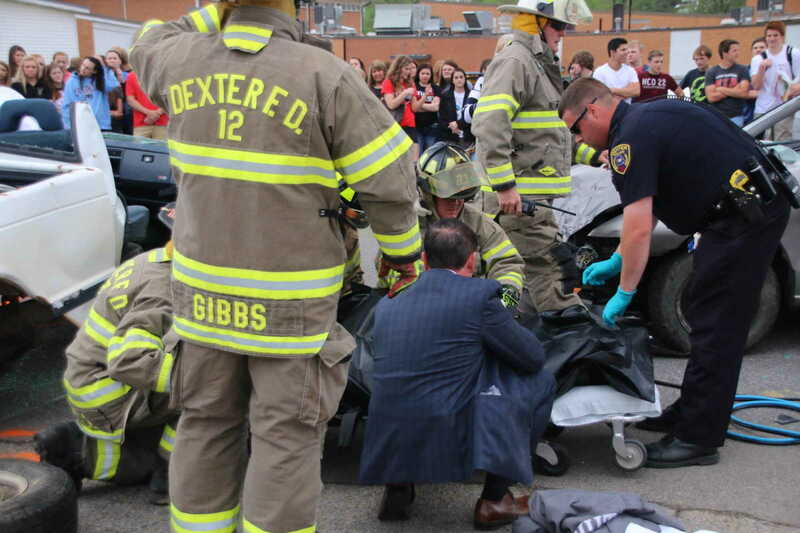 Dexter Fire Chief Don Seymore, at left, works to support the "fatality victim" (Shyann Jines) in a two-vehicle mock accident staged behind Dexter High School Thursday afternoon. 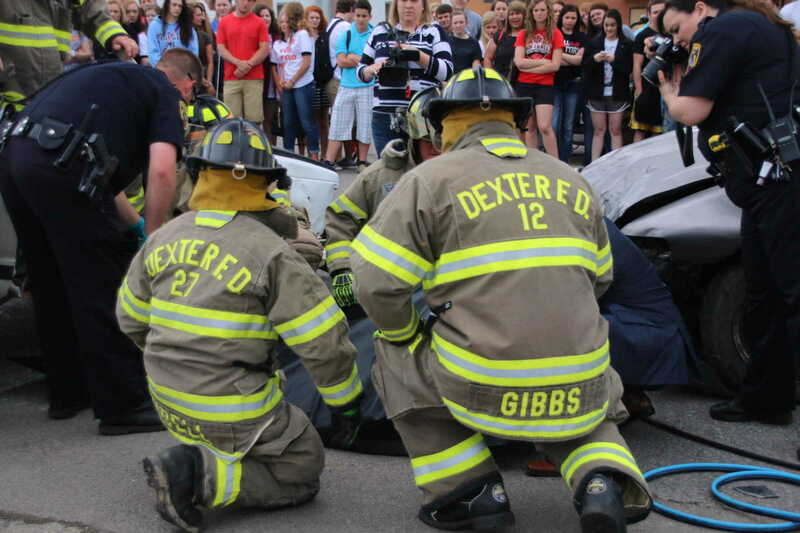 Students from both T.S. 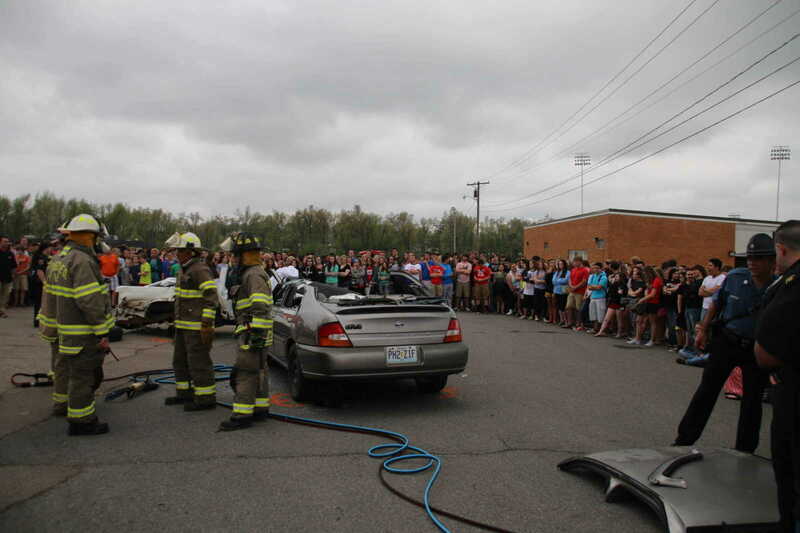 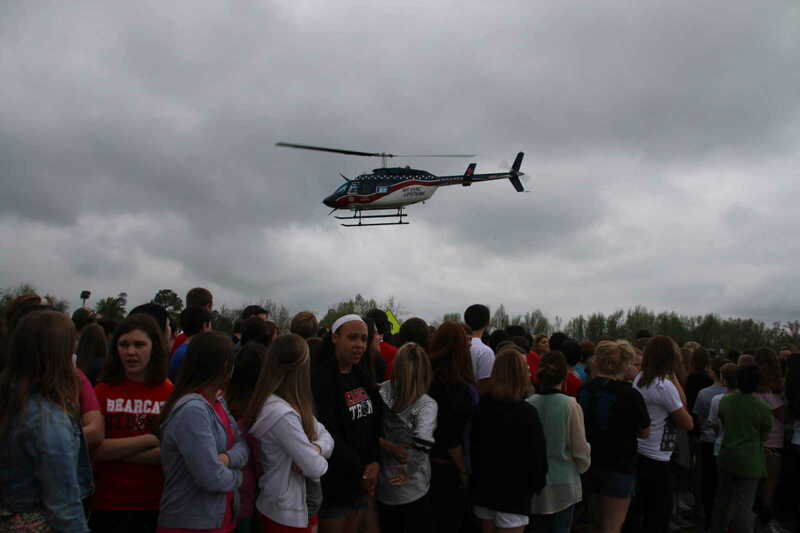 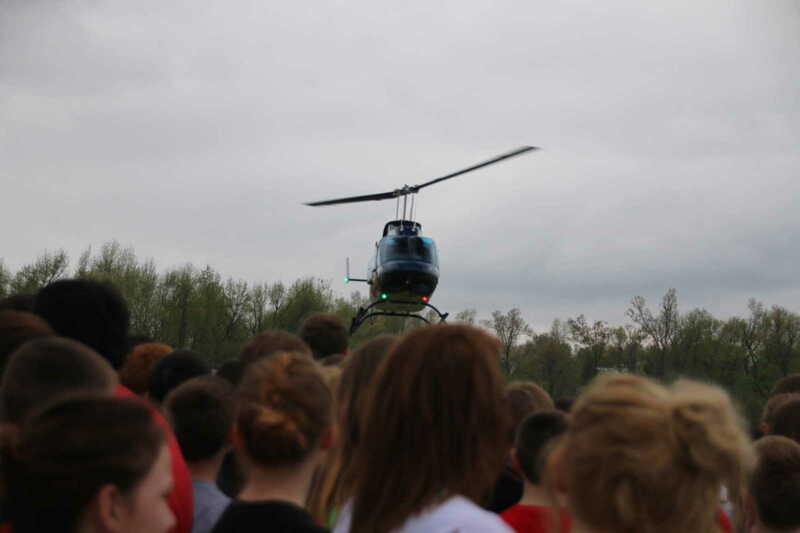 Hill Middle School and DHS gathered along a stretch of Brown Pilot Lane to witness a staged scene in which three students were injured and one was killed in an accident that involved drinking and driving. 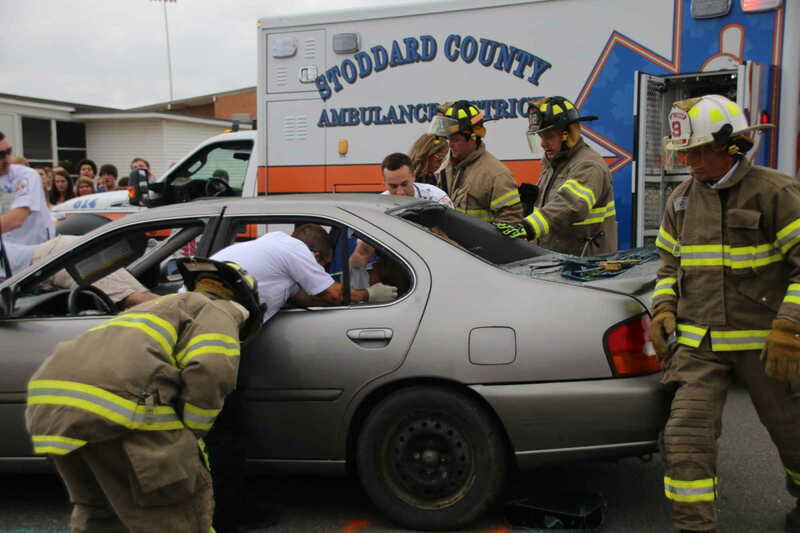 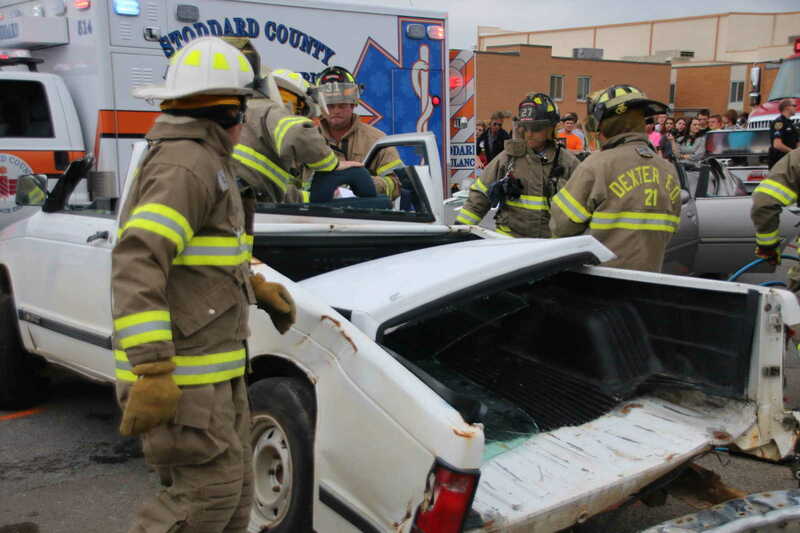 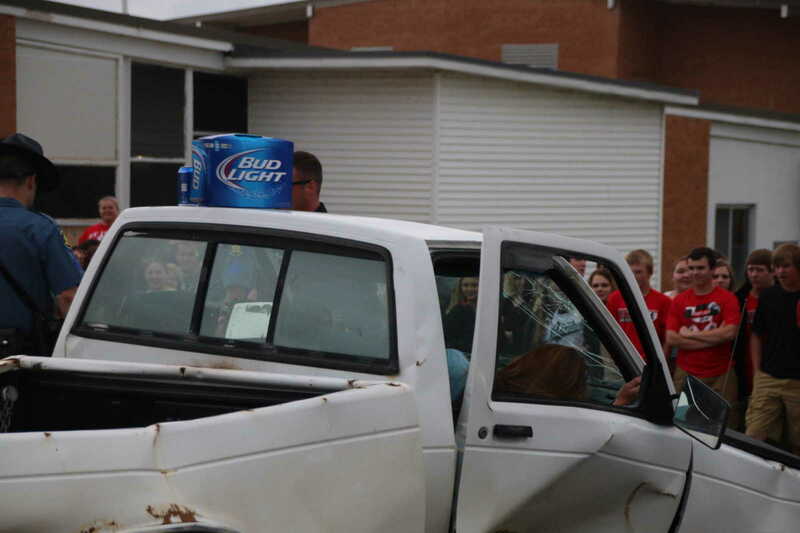 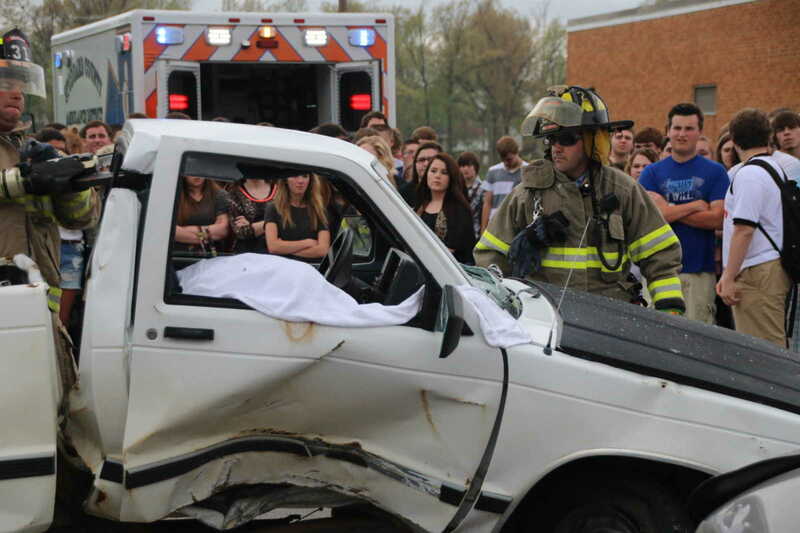 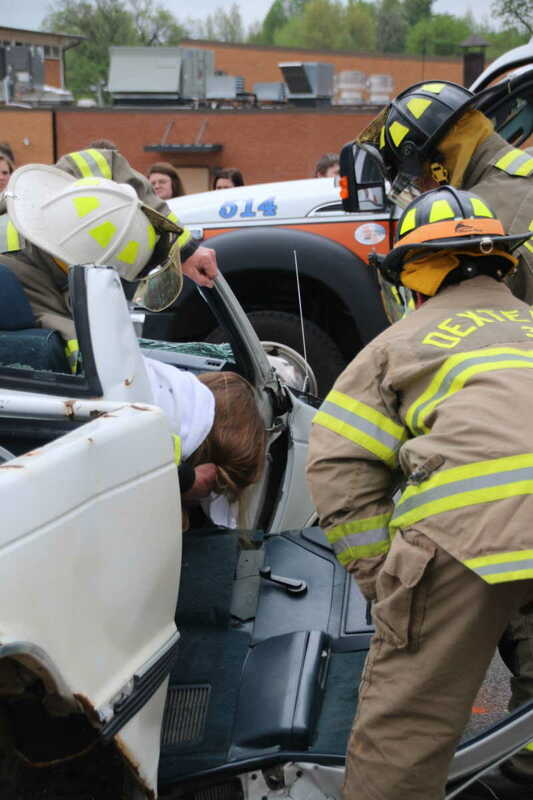 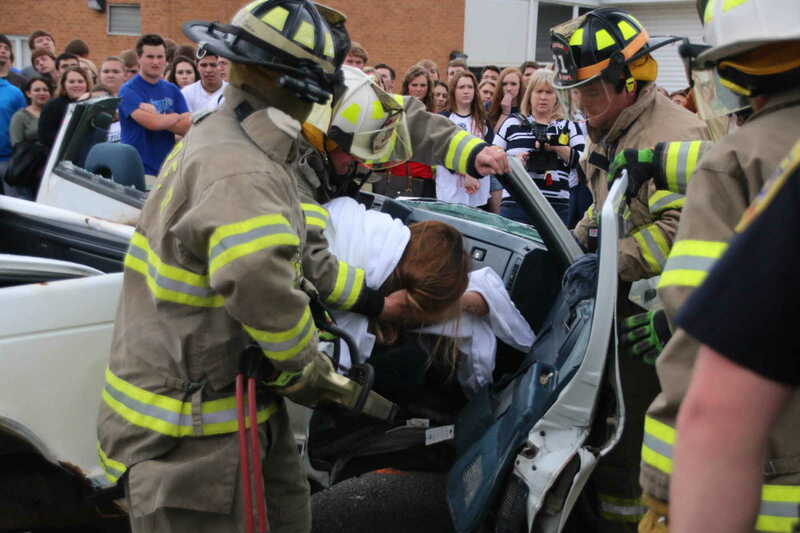 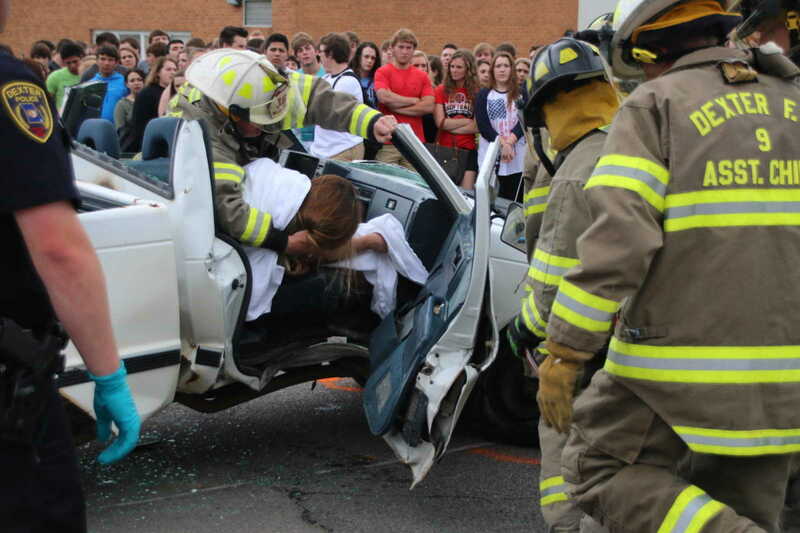 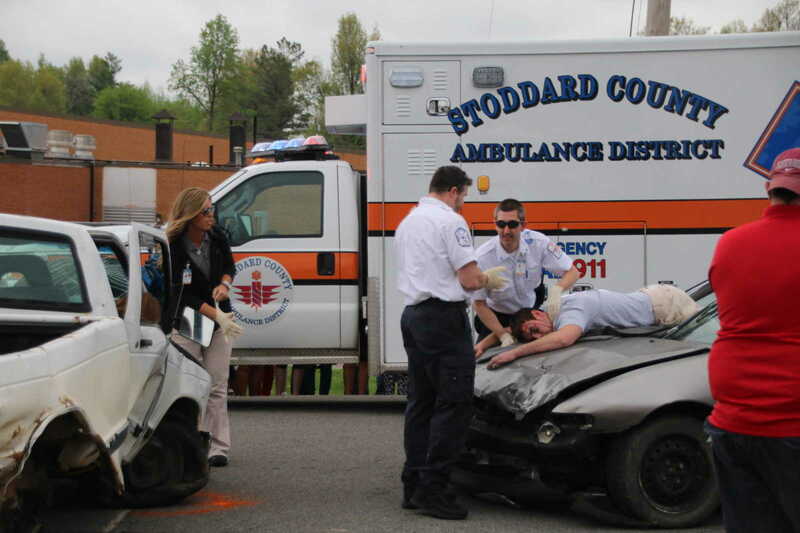 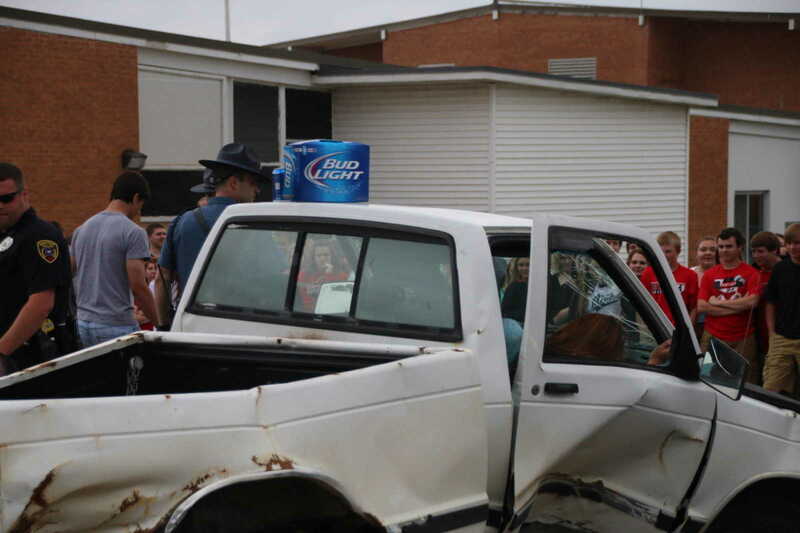 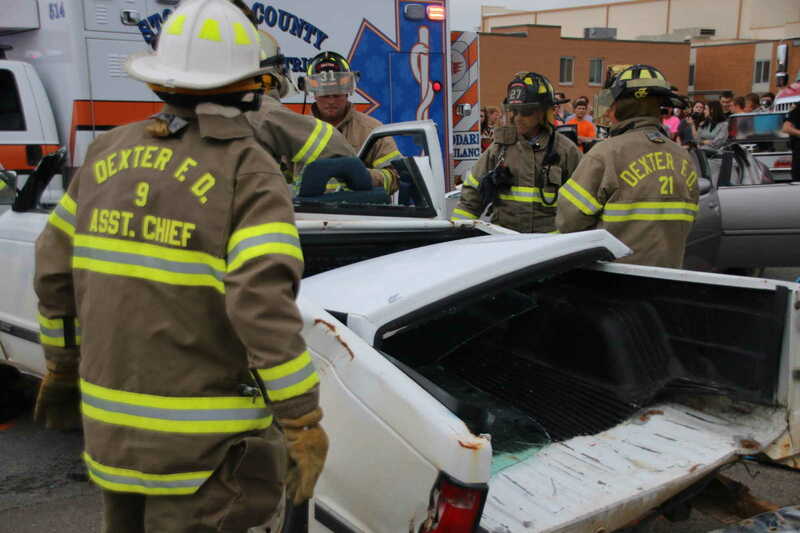 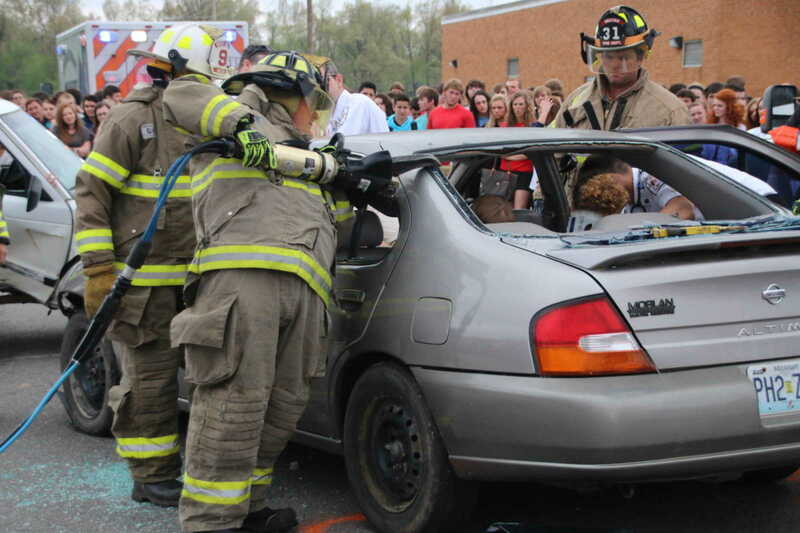 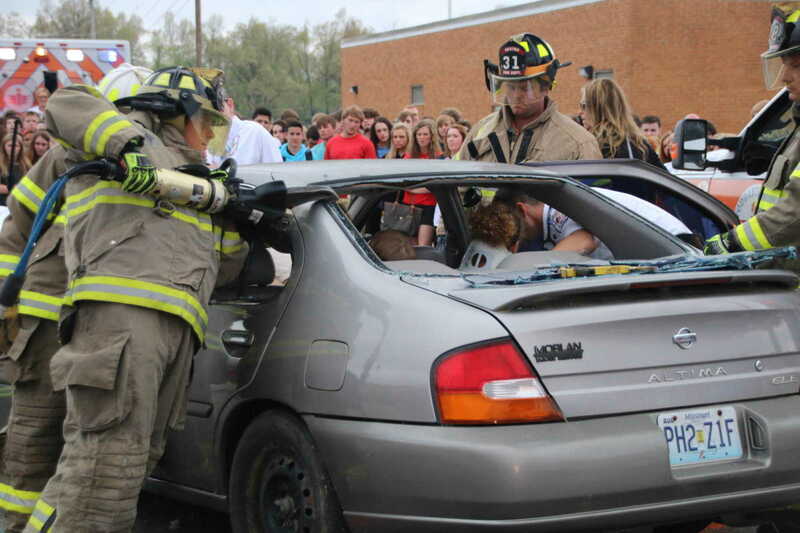 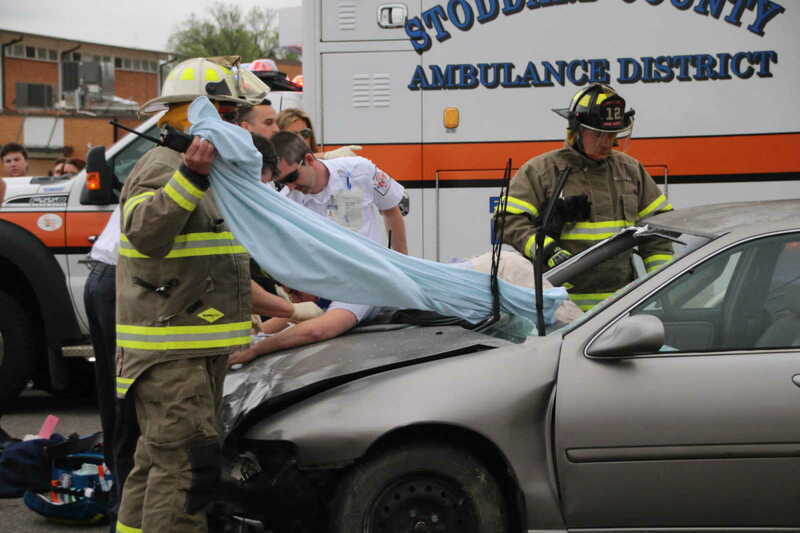 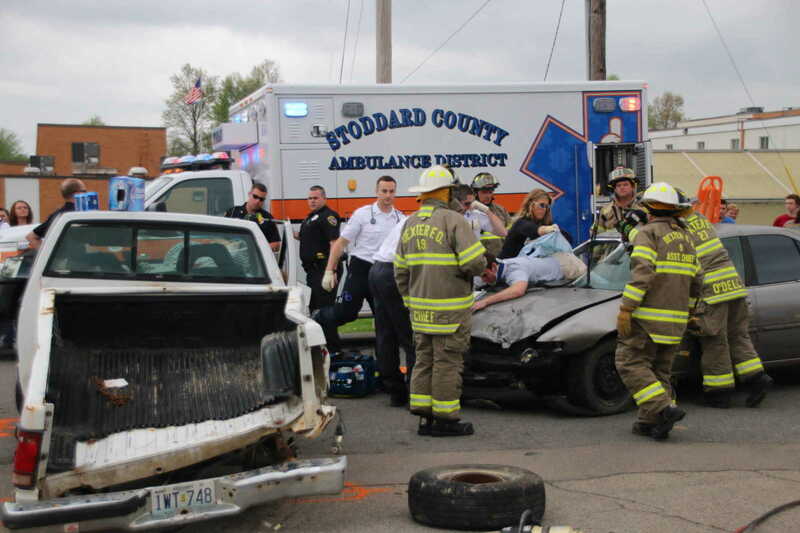 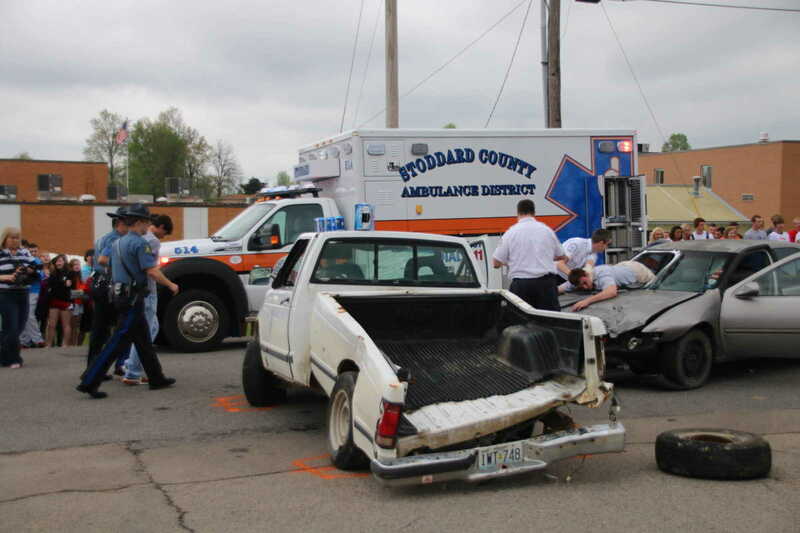 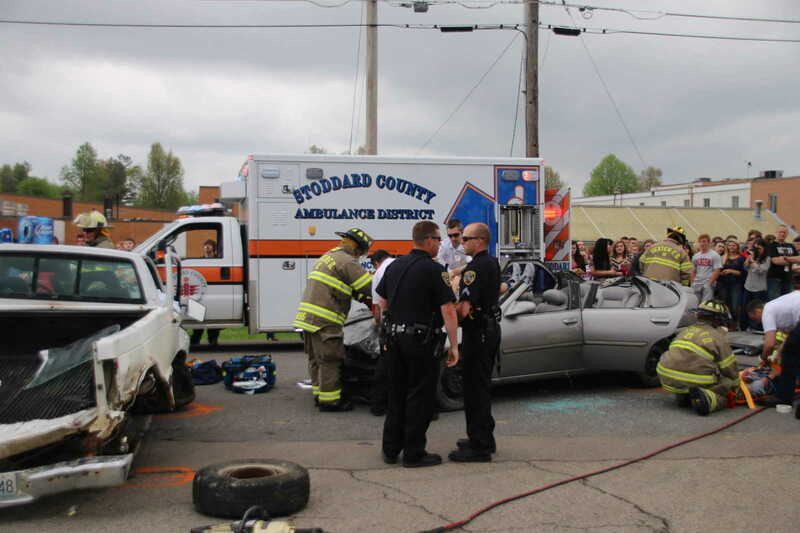 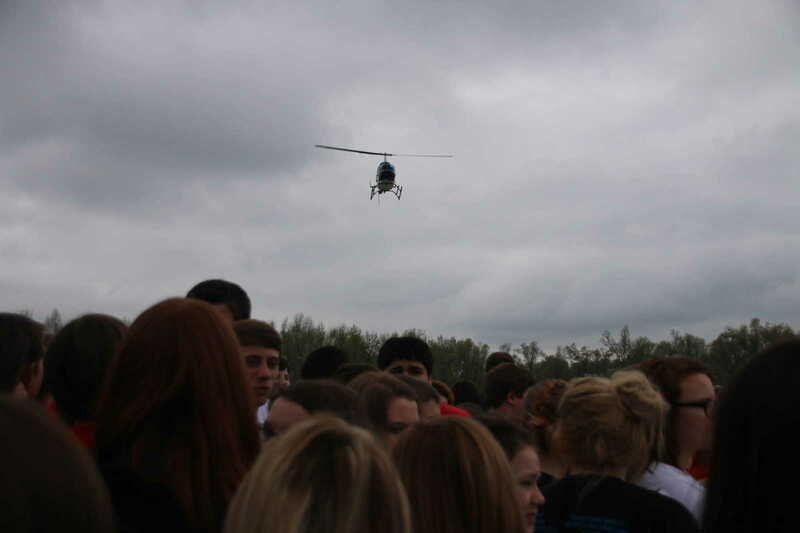 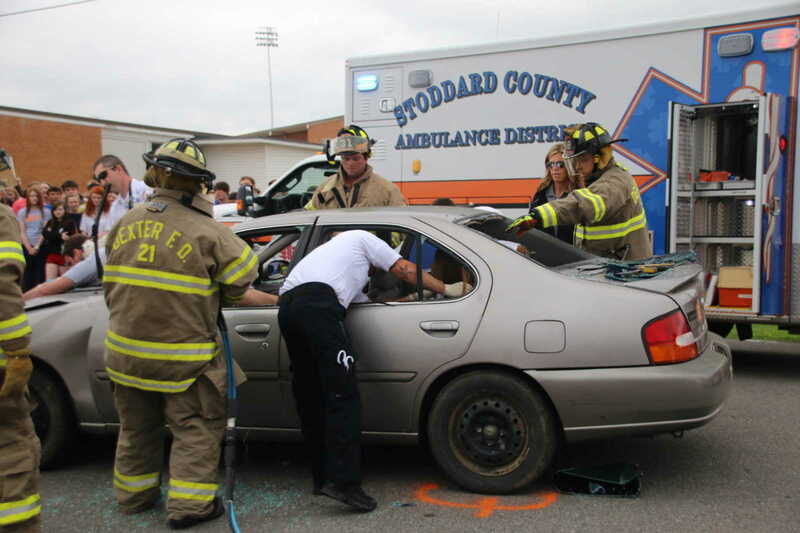 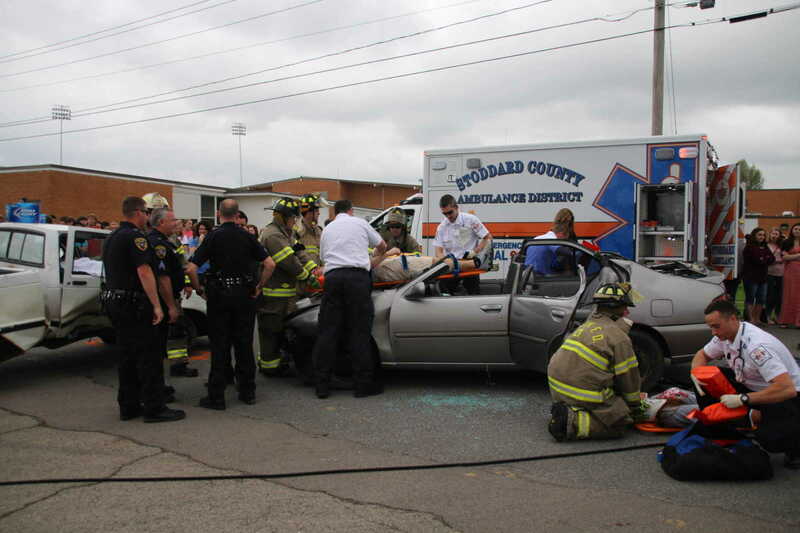 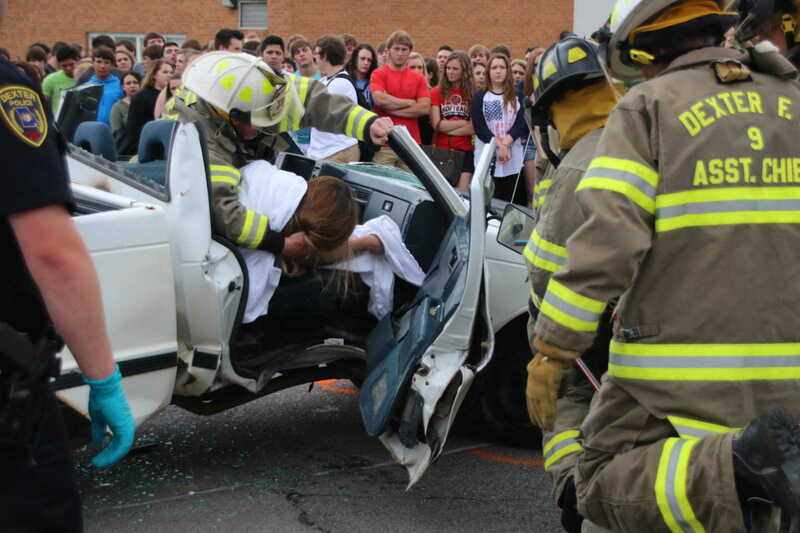 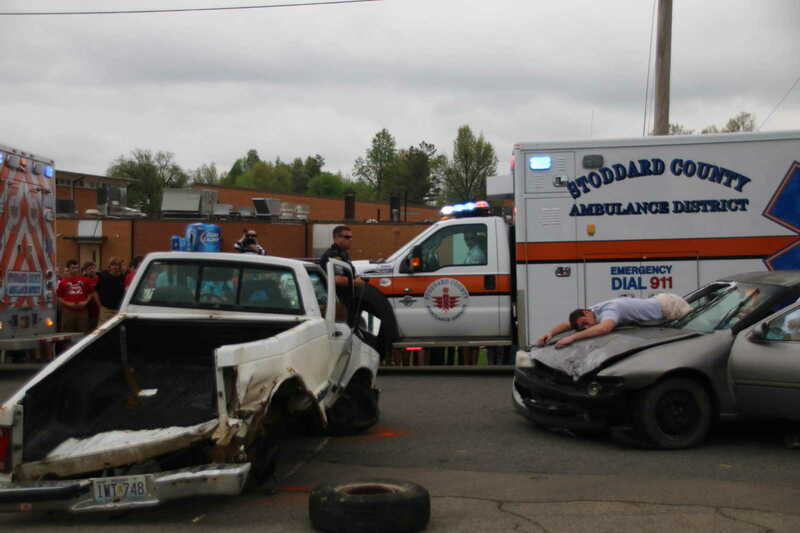 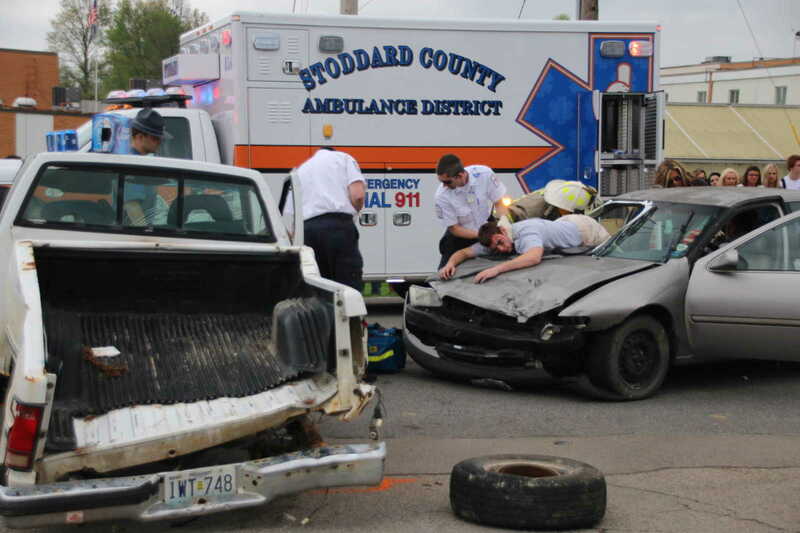 Involved in the staged scene to illustrate to students the dangers of drunk driving were Dexter Police, the Highway Patrol, Dexter Fire Department and Extrication Team, the Air Evac Lifeteam, Stoddard County EMS and Stoddard County Coroner Kenny Pope. 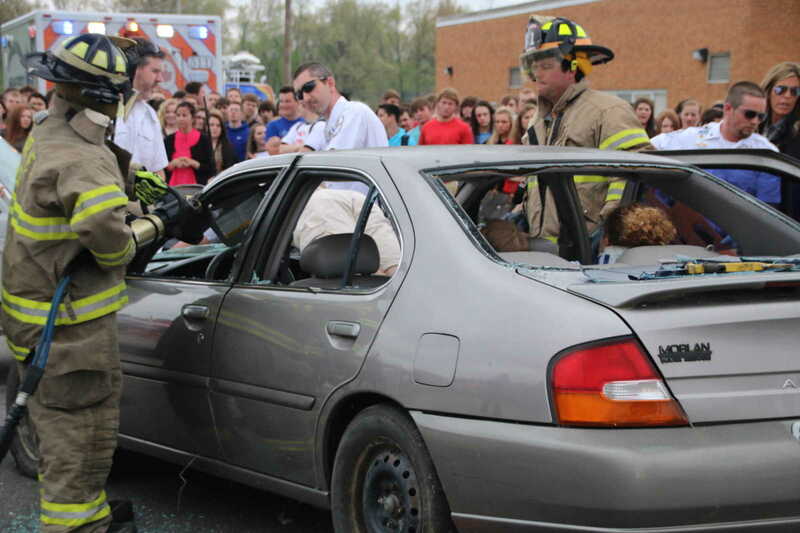 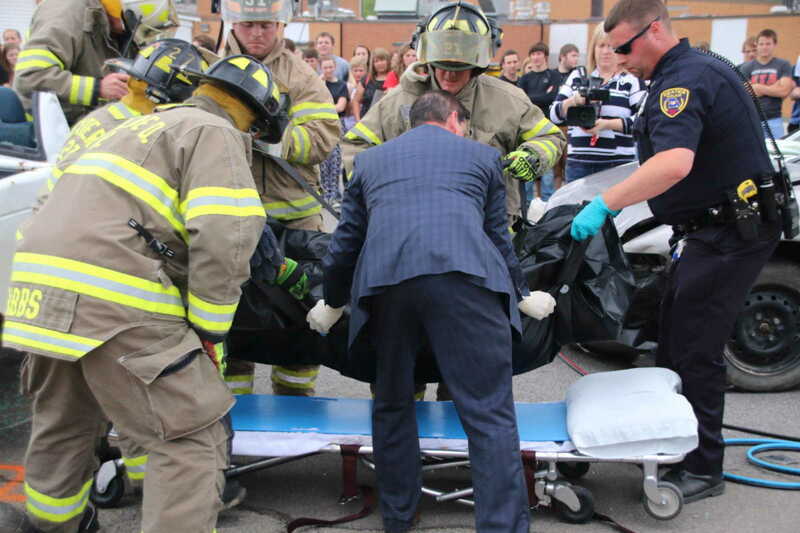 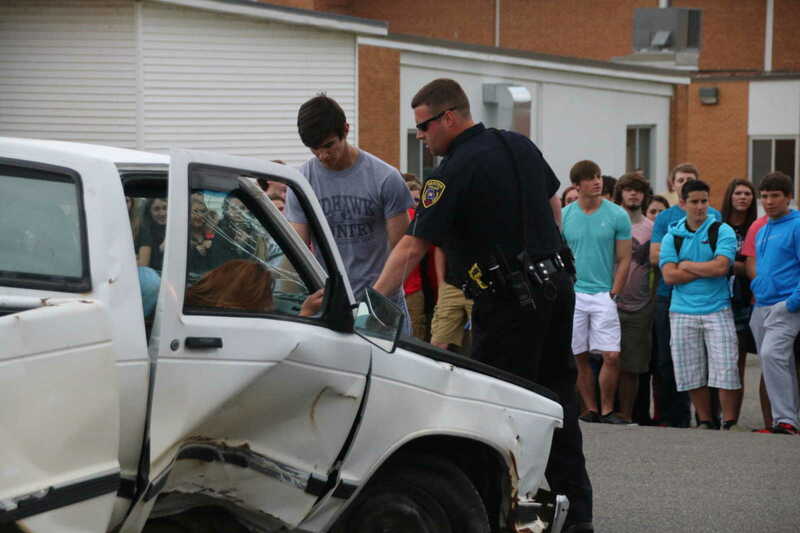 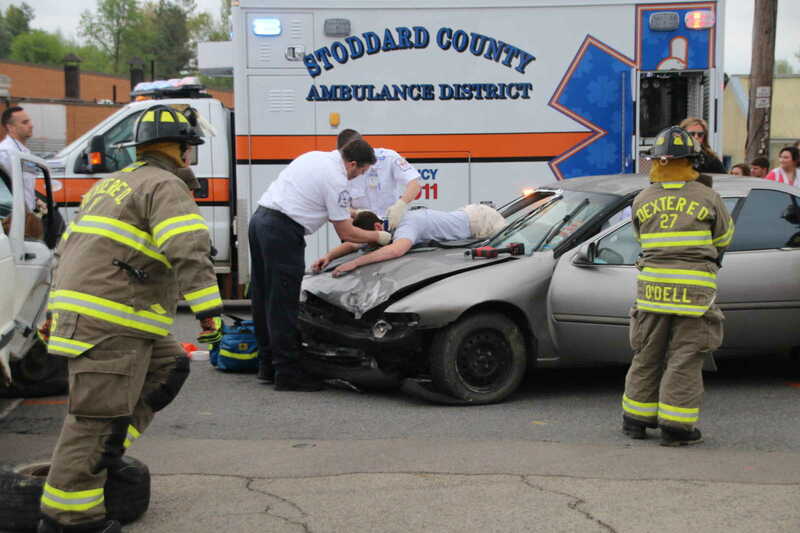 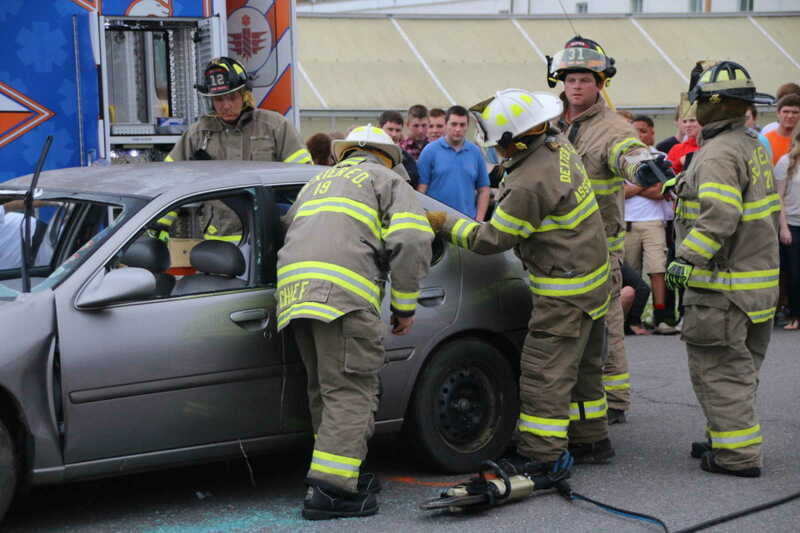 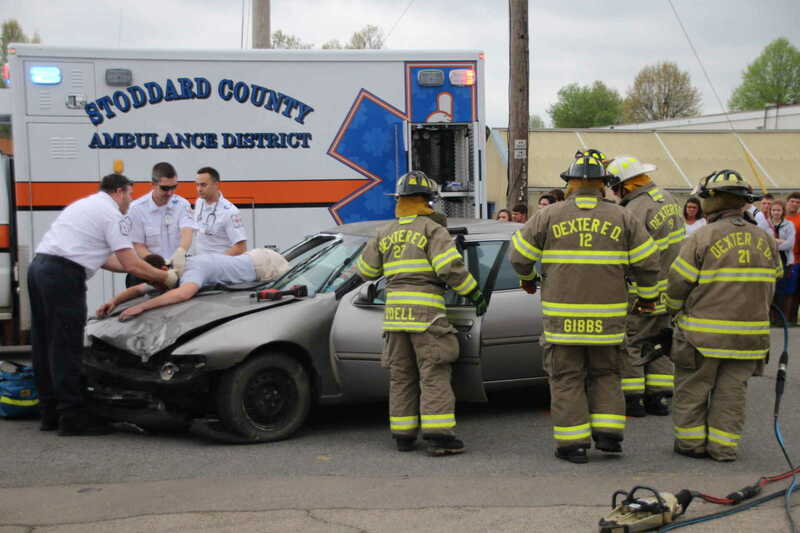 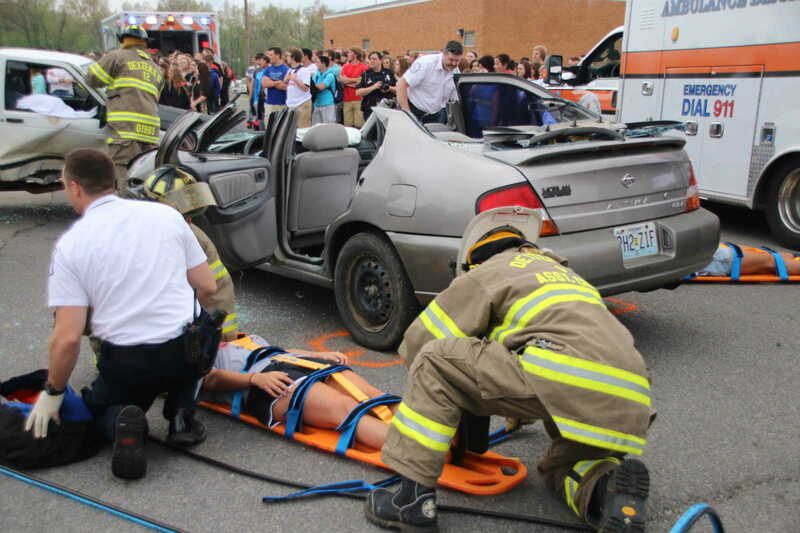 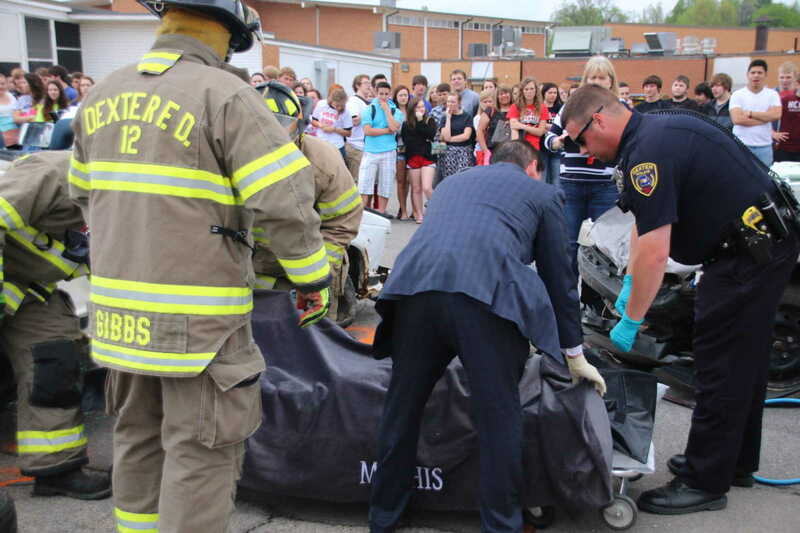 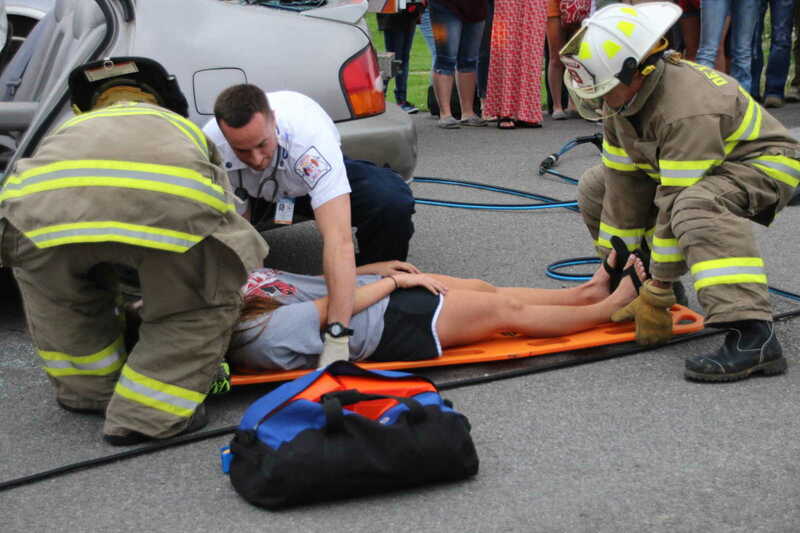 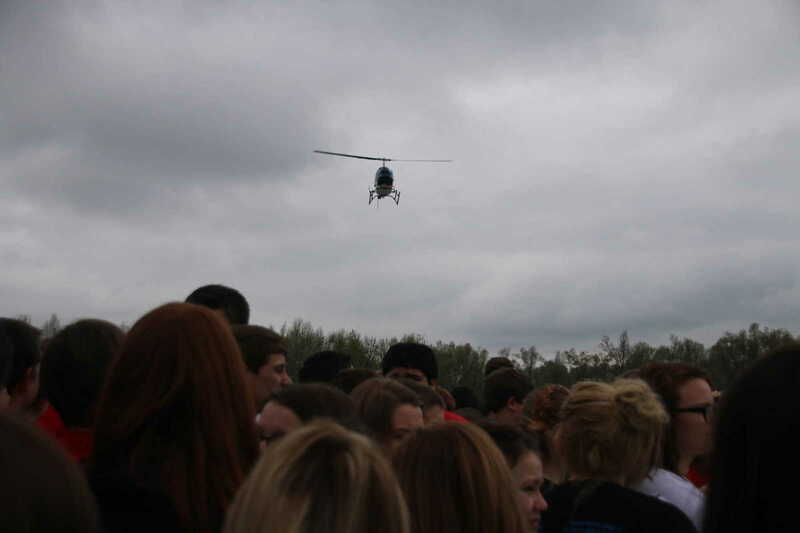 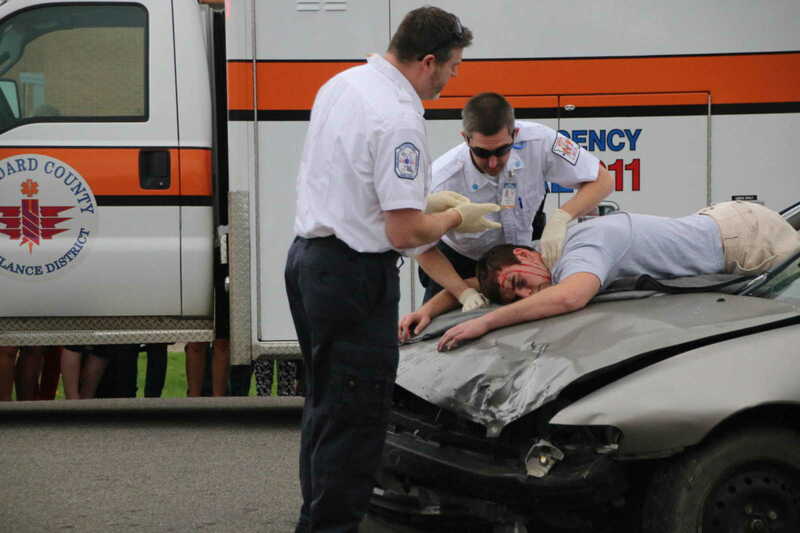 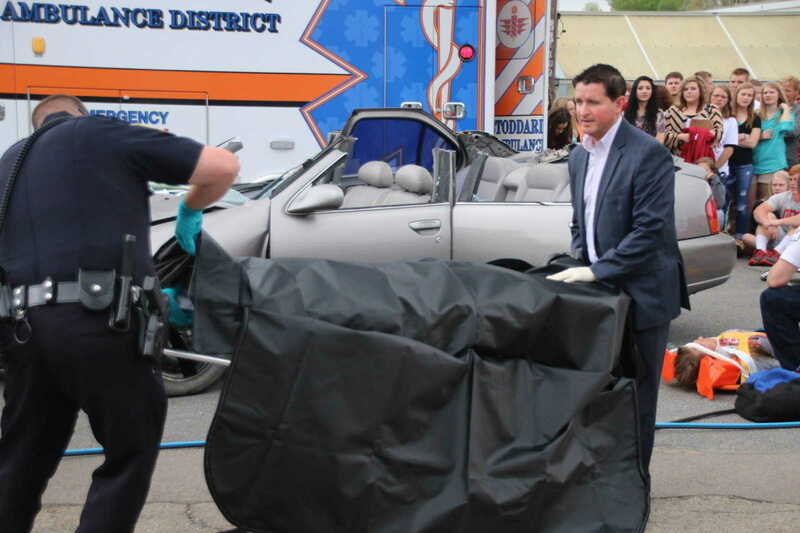 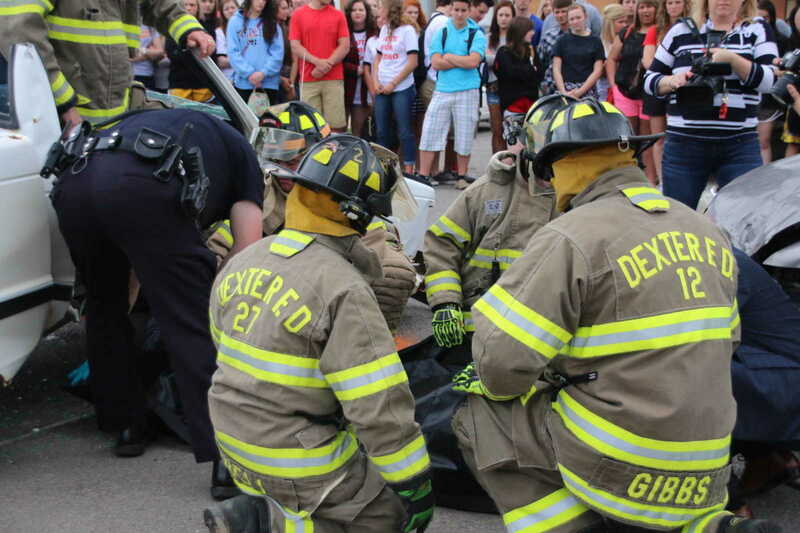 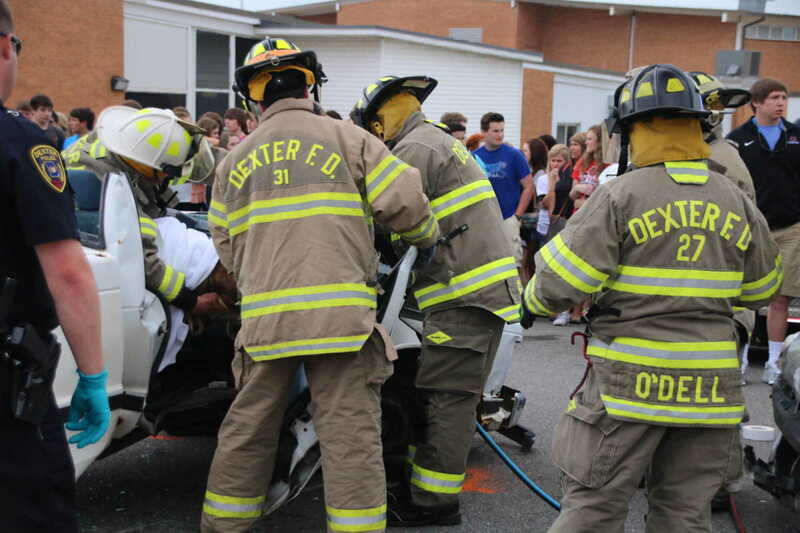 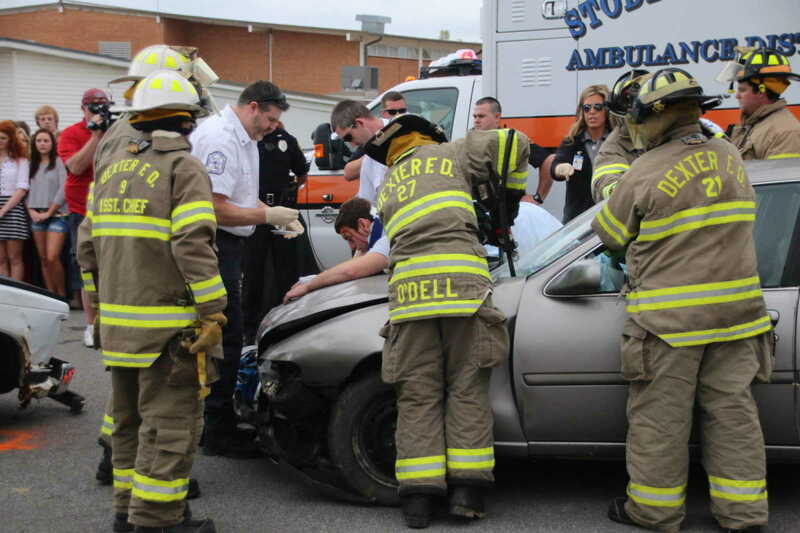 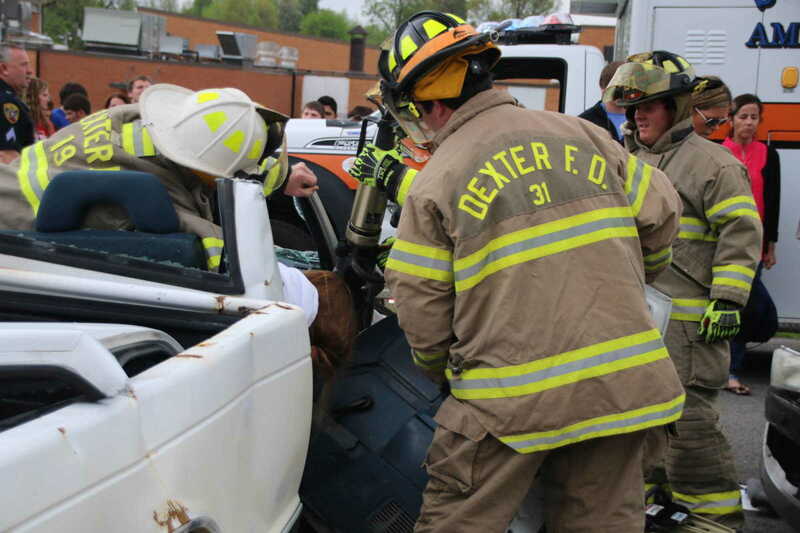 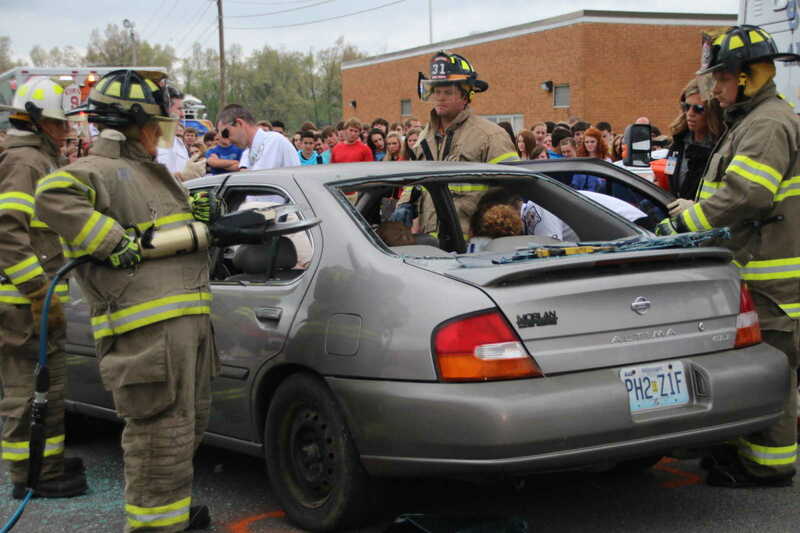 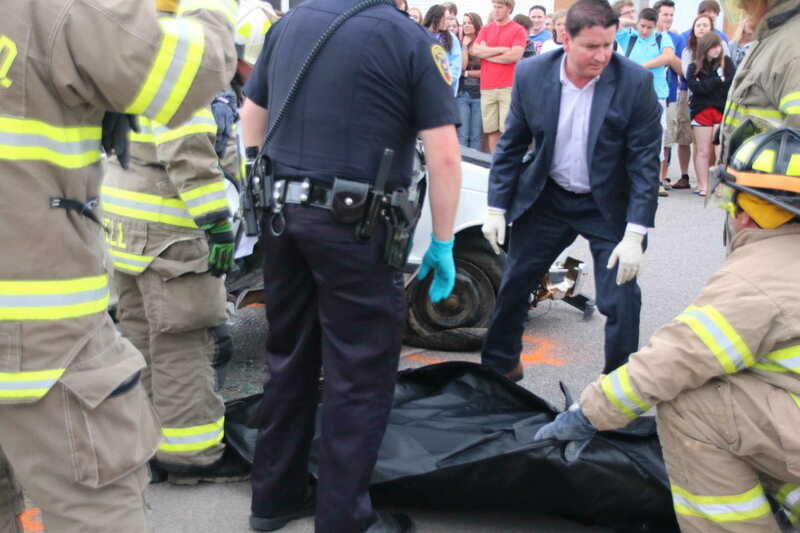 Orchestrating the mock accident was Dexter Police Department D.A.R.E. 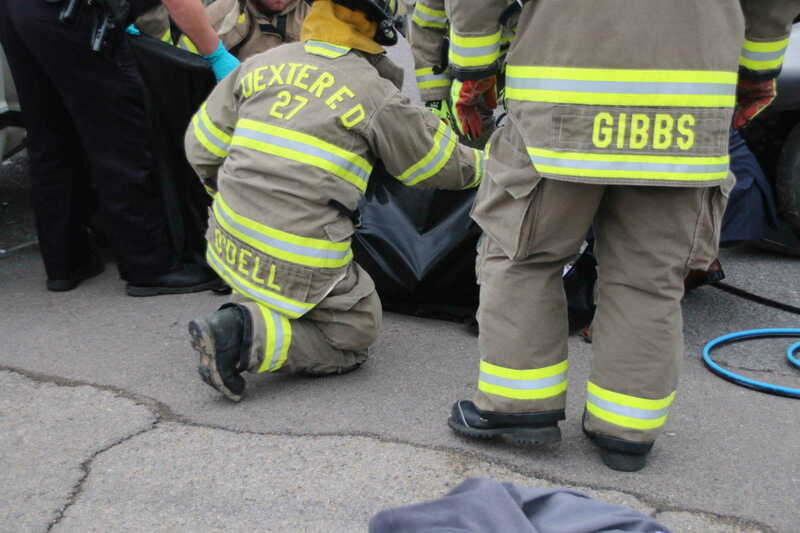 Officer Lori O'Dell.